I have a nostalgic streak in me, one that likes to look back on what once was and compare it to what currently is. 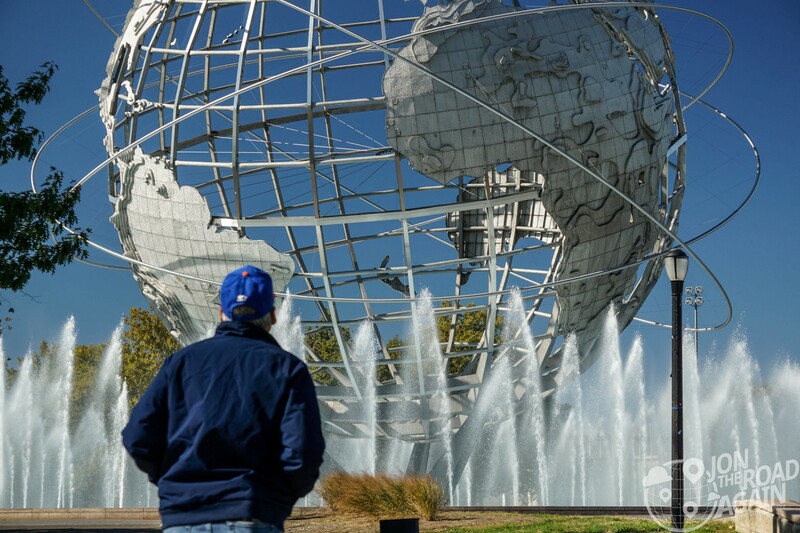 The site of the 1964 World’s Fair is now Flushing Meadows Corona Park – and what better way to explore a past World’s Fair than with someone who was actually there – my dad! 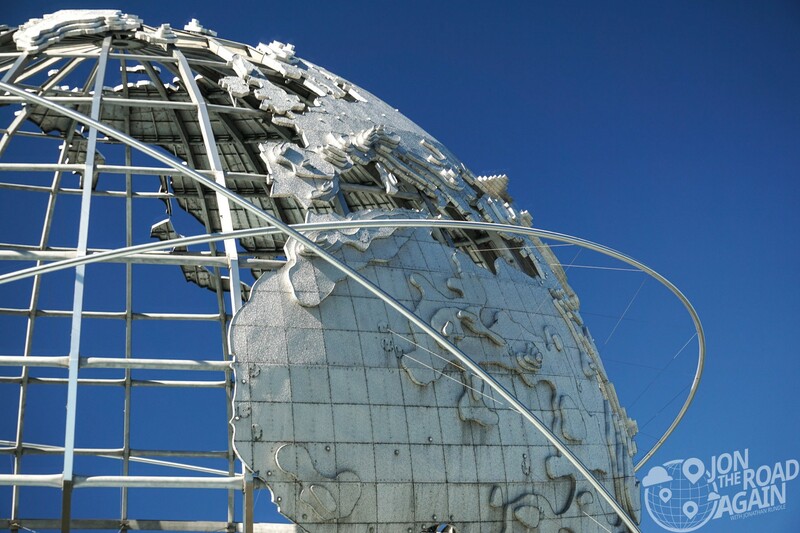 The symbol of the Fair, this 12-story high stainless-steel model of the earth was built and presented by United States Steel. 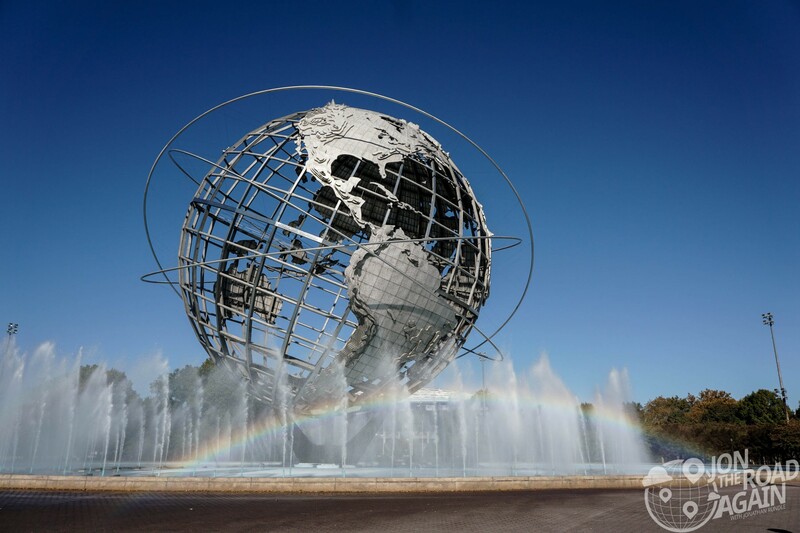 Dedicated to “Peace through Understanding,” the Unisphere will remain on its site when the Fair is over, as a gift to the city for the improved Flushing Meadow Park to be created on the fairgrounds. The “improved” Flushing Meadows park was formerly known as the “Corona Ash Dumps” until it was cleared by Parks Commissioner Robert Moses in preparation for the 1939-1940 World’s Fair. The site was being filled with ashes from coal-burning furnaces. The old ash site is even mentioned in The Great Gatsby by F. Scott Fitzgerald. These days, most of the pavilions are gone, but a few have been converted into museums. 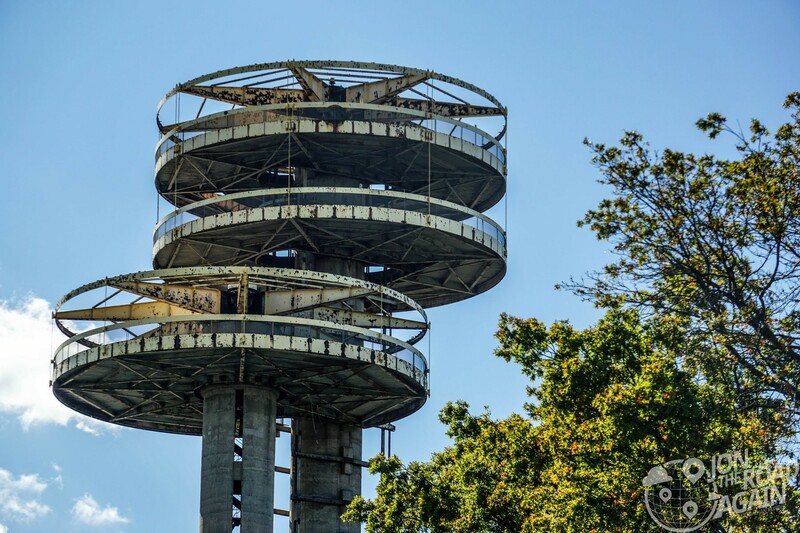 The Queens Theatre takes on part of the old New York State pavilion, while other parts like these observation towers continue to decay. Above a huge “Tent of Tomorrow,” housing state exhibits and shows, rise three towers, one of them an observation tower 226 feet high. Various displays are sheltered under the world’s largest suspension roof, made of translucent colored plastic and hung from sixteen 100-foot concrete columns. On the main floor the Texaco Oil Company has inlaid a mammoth map of the state in terrazzo, and here visitors assemble to watch school and community groups perform. Near-by is a movie theater-in-the-round. Each terrazzo panel weighed an impressive 400 lbs. Meticulously detailed to scale, the cities, highways, roads, and, yes, Texaco gas stations, are all accurately mapped. 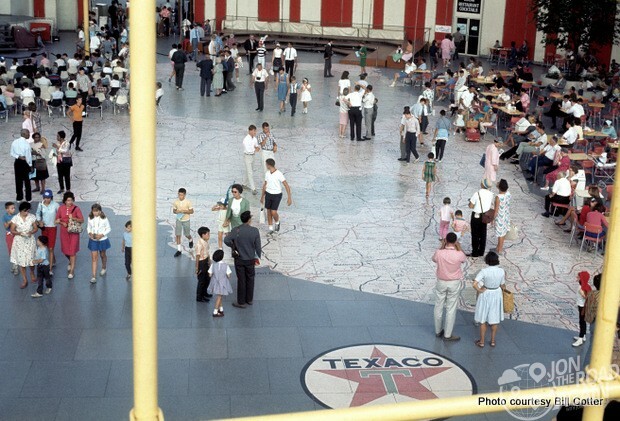 Sadly, that terrazzo floor was ruined by weather. 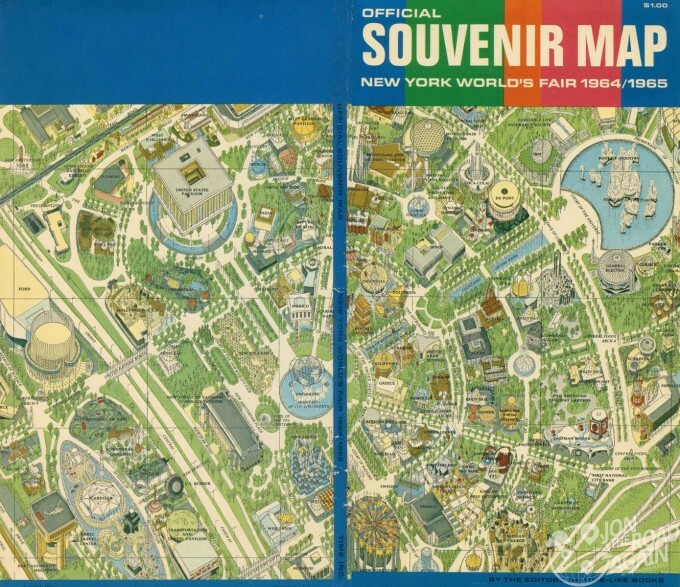 The New York pavilion has been trying to find a tenant willing to renovate it since the fair, but hasn’t had any takers. 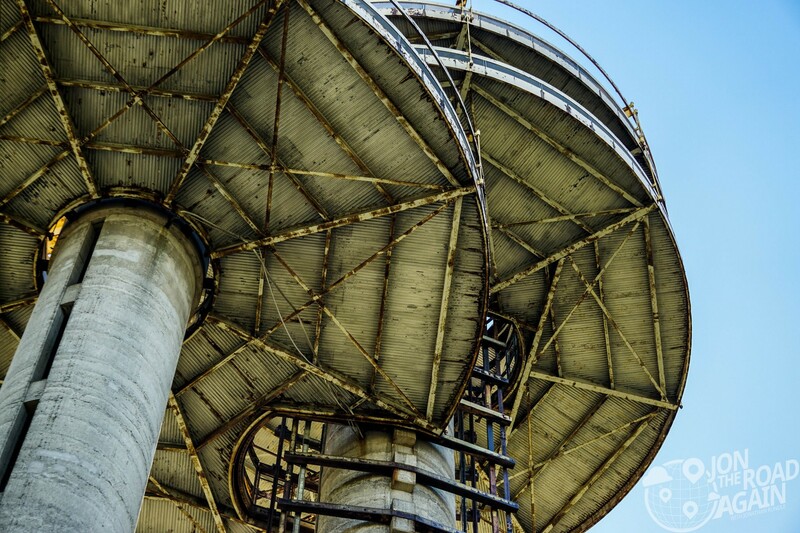 Hopefully someone steps up to the plate soon as I don’t think the structures have a whole lot of time left. 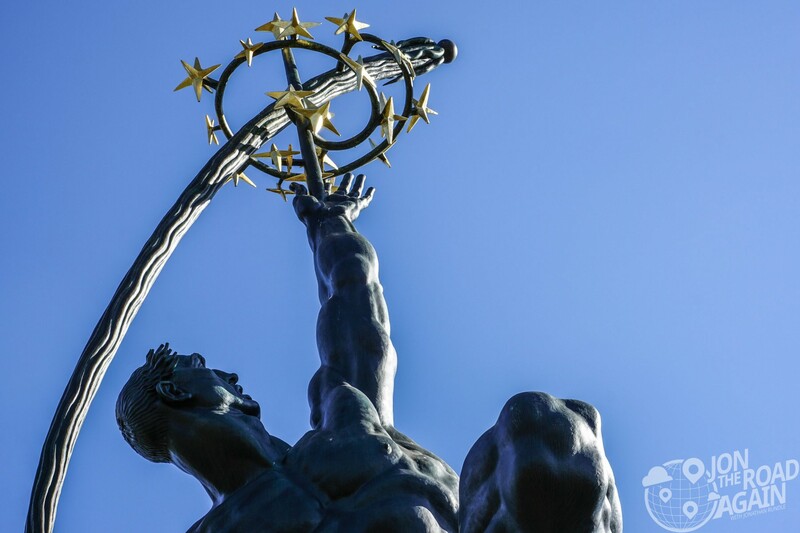 One such throwback to 1964 that received help in the nick of time is the Donald De Lue “Rocket Thrower” statue, located in the Court of Astronauts at the end of Hoover and Eisenhower Promenade. It was falling apart after years of abuse but in 2013 it was given a full restoration. the spiritual concept of man’s relationship to space and his venturesome spirit backed up by all the powers of his intelligence for the exploration of a new dimension. Many of my friends and family have seen De Lue’s work before – he is the sculptor behind “The Mountaineer” (1971) located on the campus of West Virginia University in front of the Mountainlair. Flushing Meadows Corona Park is a really large and fantastic park. 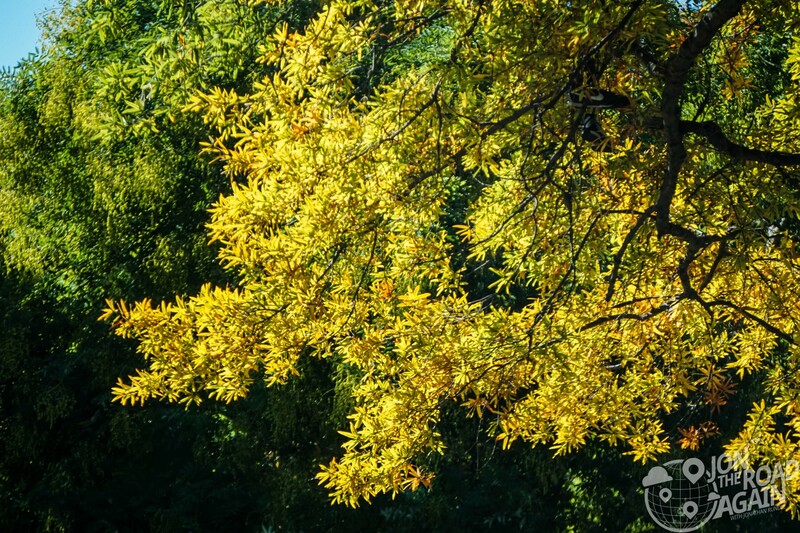 The US Open is hosted at nearby Arthur Ashe Stadium, the Mets play nearby, you can visit art installations throughout the park, or simply sit on a sunny bench to watch the colors change. As a young boy attending the 1964 Worlds Fair with my Dad and brother was quite a thrill! I remember standing in front of the Unisphere in total amazement. Just by chance to be standing at the same spot 51 years later with my son brought back a flood of memories from my time there with my Dad. Thanks Jonathan for a memorable and enjoyable time!